Find the root of your relationship problems. 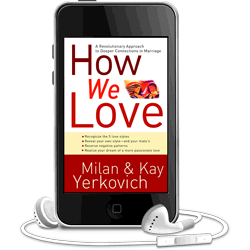 Use Milan & Kay’s proven tips, tools and tactics to protect your most valued relationships and keep your family together.This six hour audio CD set of the 6 hour workshop brings the content from “How We Love” to life, including information not found in the book. Kay and Milan share personal stories, perform live therapy, and demonstrate a “Holding Time” to help you apply this material. Now includes a free download of the How We Love Syllabus and Group Discussion Questions! Your core pattern is the enemy, not your mate! This 1 hour CD provides an in-depth look at Avoider-Pleaser Core Pattern. It includes a downloadable PDF, which includes a circular diagram of this Core Pattern, explanations and all applicable interventions to exit this frustrating dance. (See product description for more details). Do you keep your opinions to yourself to stay close to others? Are you anxious when someone is upset with you? 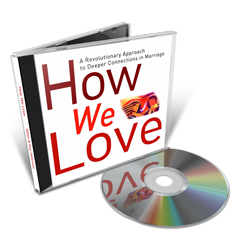 In this 60 minute talk, Milan & Kay go beyond the materials presented in “How We Love” and take an in-depth look at the “Pleaser” love style. This CD also explores the parenting tendencies of the Pleaser and their propensities in a sexual relationship with their spouse.